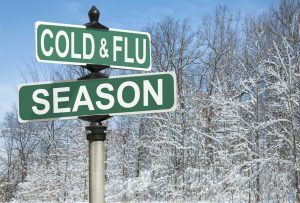 – Symptoms of influenza include and are not limited to: fever, chills, muscle aches, cough, congestion, runny nose, headaches, and fatigue. In addition, symptoms may also include chest discomfort, head congestion, headache, nausea/vomiting (more common in children), shortness of breath, and sore throat. – If you have concerns regarding the flu, have your student seen early. Treatment with medication is usually effective if started within the first 48 hours. – It is not too late to get a flu shot. Any temperature greater than 100 degrees. Students should be fever free, without fever reducing medications for 24 hours prior to returning to school. Strep infections require treatment with at least the first dose of antibiotics. Students should also be fever free and feeling well before returning to school. Vomiting and/or diarrhea require that the student remain home until 24 hours after the symptoms have ceased without medication. Marked drowsiness/malaise: Exclude from school if student is unable to actively participate in routine school activities. Needs to be symptom free for 24 hours. If your student has pinkeye (conjunctivitis) with purulent discharge. Exclude from school until 24 hours after treatment or cleared by health care professional. Encourage hand washing and refrain from touching the eyes. – As a general rule, students should remain home until they have been symptom free for 24 hours. This is important for your student’s health and the health of his/her classmates and staff. Please continue to remind your student of the importance of frequent hand washing, proper nutrition, adequate rest, and proper use and disposal of tissues during this cold and flu season. – When notifying the school of your student’s absence, please notify the attendance receptionist of the reason for the absence. This assists the nurse in her efforts to control the spread of disease in the school environment. Are all students required or encouraged to wash hands or use hand sanitizer before lunch at school? At the elementary level, the nurses promote and teach proper hand washing. Some schools are encouraging students to wash their hands before and after lunch. My daughter attends Trailside and has told me they do not wash hands or use hand sanitizer before lunch. I’m not sure if they are encouraged to and she just isn’t but that is what she has told me. I am a kindergarten teacher and my students wash their hands before lunch every day. We also wipe down all the tables at least once a day.